Halloween is a busy time. Not just for the kids, but also for professional designers. It’s that time of the year you start looking for Halloween-themed fonts, templates, vectors, and icons for designing all those spooky posters and greeting cards. Well, this year you won’t have to spend hours searching for creative fonts for your Halloween designs. Because we already did the work for you and picked out the best spooky Halloween fonts that will make your work stand out from the crowd. In this collection, we feature a collection of the best Halloween fonts that are suitable for all kinds of designs from posters, greeting cards, social media designs, and other Halloween and horror-themed designs. Have a look. Making your Halloween designs look both scary and fun will be much easier when using this creative font. It features elements of both a quirky and a spooky design. The font comes with a hand-drawn look and in two styles: Regular and a bonus Catchwords typeface. 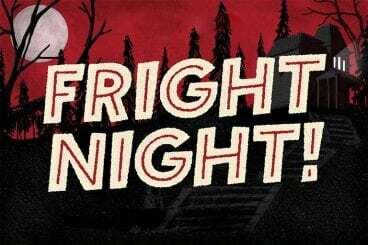 Fright Night is a horror-themed font that comes with a vintage design. This is the kind of font that you usually see in classic horror movie posters. It’s perfect for crafting a poster or a flyer for a Halloween-themed event. The font comes in 12 different styles and more than 300 glyphs. This retro-themed Halloween font features a true horror-filled design that makes it most suitable for designing flyers and posters for horror theme parks and carnivals. You can also use it for greeting card designs as well. The font is available in 6 different styles, including grunge and inline. Gallow Tree is a creative Halloween-themed brush font featuring a spooky design. It features a natural hand-drawn design, which has been drawn using a Faber Castell brush pen and the font includes 370 glyphs as well. Another horror-themed font that’s ideal for designing both Halloween and horror-themed designs such as greeting cards, posters, flyers, and even title pages. The font comes in 2 styles: Regular and slanted. It also includes 240 glyphs. Mukadua is a unique font that comes with two different styles of fonts. One version of the font features a horror-filled spooky design while the other has an enchanted and delightful design. It’s sort of like two fonts with designs for heaven and hell. Featuring a true horror design, this Halloween font gives out a scary vibe that will allow you to create terrifying titles for movie posters, book covers, and various other design projects. The font is available in regular and slanted versions with all-caps letters. Jack Reacher is a display font that comes with a unique spooky design. Even though it has no relation to the books or the movie series of the same name, the font does have an interesting design that will add a scary look to your Halloween-themed greeting cards and posters. This handmade horror-themed font will probably remind you of the old movie titles from the 1960s Alfred Hitchcock movies. The font includes multilingual support and it’s ideal for designing posters, titles, greeting cards, and even T-shirt designs. Ghoul is a creative Halloween-themed font that features a unique design with modern elements. The rounded edges and the quirky look of the font make it less scary and more suitable for kid’s themed poster and greeting card designs. Herald is a modern serif font with a quirky design. While it doesn’t have a spooky or a horror look, this font will fit in nicely with your Halloween greeting cards, posters, and flyers for children and fun occasions. It also comes bundled with a bunch of vector graphics and elements too. Lunar Tundra is a creative brush font that features a spooky design. It’s ideal for designing posters, T-shirts, social media posts, and various other designs related to Halloween. The font will also look great with a horror-themed design with the right mix of colors. This spooky font features a gothic horror-themed design that makes it most suitable for designing posters, flyers, and titles for horror-themed designs. The font comes in 6 different versions, including regular, rust, rough, and variations with shadows. The Crow is another font that features a gothic-era inspired design. It comes with 6 different fonts featuring grunge, inline, and shadowed versions. You can use this font to give a unique look to your designs. This creative font comes in two attractive designs, solid and textured, for designing unique posters, greeting cards, and T-shirts for your Halloween-themed design projects. The font also comes with lots of alternates, swashes, and ligatures as well. Silent Scream is a creative brush font with a Halloween-themed design. It comes in two versions: Regular and italic. You can use the font with various types of spooky designs. Another spooky Halloween font with a creative design. This font features a handmade design and includes both OTF and TTF formats. You can use it to design posters, book covers, greeting cards, and more. Glaive is a bold font with a creative design. This font is most suitable for designing posters, titles, book covers, and social media posts with a subtle spooky design. The font includes all-uppercase letters with alternates. Afterlife is a unique handmade font that features a spooky design. It comes in both OpenType and TrueType formats. You can use the font to craft unique posters and flyers for various Halloween-themed events. If you’re working on a different style of a poster, check out our collection of the best fonts for posters.